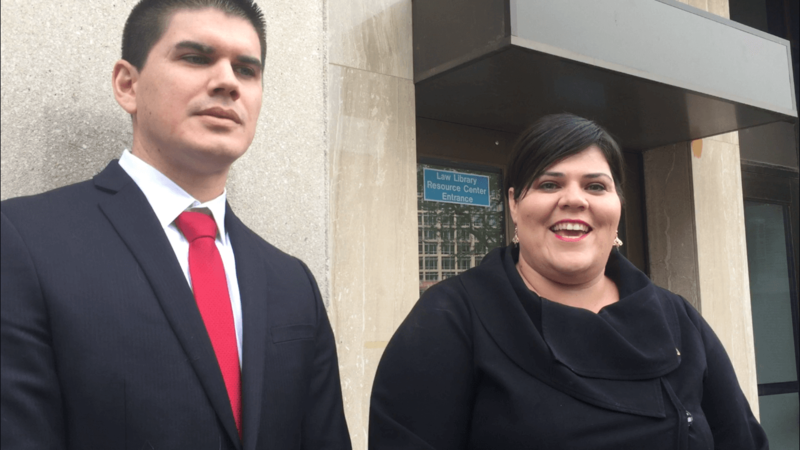 The southern Arizona woman who falsely claimed Rep. Raquel Terán couldn’t hold office because she is not a U.S. citizen will have to pay more than $3,000 in attorneys fees, a Maricopa County Superior Court judge ruled Wednesday. Judge Connie Contes dismissed the case brought by Alice Novoa during a November hearing. The next day, Novoa filed a notice of appeal. In Wednesday’s judgment, Contes concluded Novoa’s complaint “fails on the merits,” “has no basis in fact or law” and was procedurally flawed in its timing. Judge Contes also found Novoa knowingly brought the claim without substantial justification and primarily for the purpose of harassment. The judge ordered Novoa to pay $3,000 in attorney fees and $279 in filing costs. Novoa, a resident of a small community outside of Douglas, filed the lawsuit the day before Election Day. The next day, Terán was elected to the House of Representatives for Legislative District 30, which includes the west side of Phoenix and parts of Glendale. Novoa brought the same lawsuit in 2012 when Terán unsuccessfully ran for state senate. The case was dismissed because of a technicality. Terán produced a copy of her birth certificate in court in 2012, and again in November. The crux of Novoa’s argument is that Terán is not a U.S. citizen because of an unsubstantiated beliefs that her parents are “illegal aliens” and that she’s an “anchor baby” — arguments that ignore the Fourteenth Amendment to the U.S. Constitution and a U.S. Supreme Court ruling from 1898. Anchor baby is a derogatory term that asserts immigrant parents have U.S.-born children for the purpose of gaining lawful immigration status. “This birtherism undoubtedly is a conspiracy theory that won’t die, and it belongs in the deepest, darkest gutters of the internet and not in the court of law,” Andy Gaona, Terán’s lawyer, said Wednesday. Terán said she hopes the case sends a message to those who are prejudiced against immigrants. This is a great ruling. This vile woman tried it before and knew it was bogus yet wasted everyone’s time and court space filing again out of pure viciousness. Good for the court. I bet the woman never pays her bill though. I heard she is an unemployed, degenerate, and even tried to get or got welfare on the original filing fees. Take her tax returns I say if she does not pay.